Church for All Nations (CFAN) Life Group - Better World Changers. Living the "DREAM" Strategy in the marketplace. The weekly group conference call will help leaders impact their community, culture and world through personal witness and by connecting people to God in the marketplace. The vision and purpose of the life group is to mobilize a spiritually focused team of marketplace ministers within the Body of Christ to FULFILL the GREAT COMMISSION...and be used to make it the GREAT COMPLETION! As Marketplace Ministers we acquire territory, conquer territory, expand territory, adjudicate, govern, manage, administer, rule, legislate & transform the earth. Supreme Commander's Intent: Fulfill the Great Commission in Our Lifetime. Our Marketplace Minister's Mission: 1) Fund World Missions - Spread the Gospel, 2) Community Outreach - Make a difference, and 3) Personal Freedom - Create treasure with our divine talent to be free to climb our mountain and earn. Purchase a Composition Notebook to document the miracles as you walk into your testimony! The Word of God tells us to WRITE IT DOWN! Praise God! on tables, so he may run who reads it. 19 "All this," David said, "I have in writing as a result of the Lord's hand on me, and he enabled me to understand all the details of the plan." 20 David also said to Solomon his son, "Be strong and courageous, and do the work. Do not be afraid or discouraged, for the Lord God, my God, is with you. He will not fail you or forsake you until all the work for the service of the temple of the Lord is finished. 21 The divisions of the priests and Levites are ready for all the work on the temple of God, and every willing person skilled in any craft will help you in all the work. The officials and all the people will obey your every command." - Leadership is the capacity to influence others through inspiration motivated by a passion, generated by a vision, produced by a conviction, IGNITED BY A PURPOSE! - Passion attracts people to the leader and motivates them to take action. Passion commitment empowers you to defy opposition, adversity, failure, disappointment, and discouragement. What do I have to serve to others? 1) Identify your DIVINE CALLING YOUR PURPOSE. You were created to solve a problem. Identifying and solving those problems provide income, favor and the flow of financial provision. Your gifts and skills are clues to the problem you were created to solve. Your gift is revealed by what you love. Money is a reward for solving a problem. Ask the Lord the QUESTIONS and listen to the motivations of your heart for the ANSWERS...write down what you hear in your spirit. (We need to know our divine call for when the enemy comes to challenge our divine authority...as in Luke 4 - when Jesus was tested in the wilderness). Meditate scriptures and answers to the the following...Lord, who am I? Why am I here? What am I to do? Where am I going? ...and, How do I get there? Seek the Lord in your passion and He will reveal Himself to you. You unlock the provisions of the universe when you discover your passion...the cause the purpose, the reason you are here. Discover your passion, your PURPOSE and uncover the power & provisions within. Operate in your passion, your purpose...for it is the power to do and fulfill your destiny. Ask the questions and listen for Him in your Spirit. Write down what you hear. 3) WISDOM will flow at the speed of your questions (to the Lord). Ask the questions and listen for Him in your Spirit. Write down the answers in your composition notebook. The answers becomes your manifesto, your charge, your marching orders. Periodically, you will refer back and read the answers to refresh and refocus on your divine purpose...as we walk through life. - Discover your spiritual gifts? TAKE THIS FREE SPIRITUAL GIFTS SURVEY: Evangelism, Prophecy, Teaching, Exhortation, Shepherding, and Mercy. What are your predominant serving gifts? Accumulating wealth and winning souls is spiritual warfare at the highest level. However, the Battle is our own thinking. The enemy is a defeated foe. ALWAYS REMEMBER: We are not fighting FOR victory...we are fighting FROM VICTORY! Thank God FREEDOM comes a a result of God's TRUTH not battle with a defeated foe! (John 8:32 - And ye shall know the truth, and the truth shall make you free). The only power source of the enemy is contained in the lies we believe. Personal Exercise: Since we know - the "demon" is only the SYMPTOM or RESULT...the CAUSE is an underlying LIE or FALSE BELIEF. IDENTIFY the lie and false belief...THEN search the scriptures to IDENTIFY THE TRUTH. Pray and affirm the TRUTH of God's Word...and the "demon" MUST FLEE! 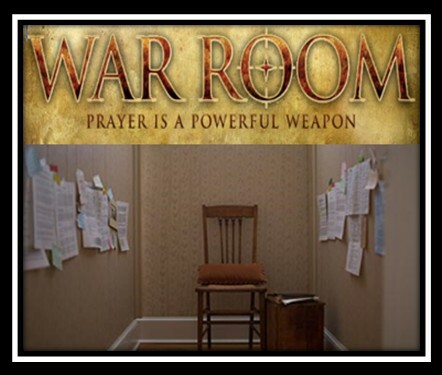 SPIRITUAL WARFARE: Schedule a DAILY prayer time and download spiritual warfare scriptures to declare on a daily or frequent basis. You may already have your favorite scriptures to reference. The goal is to have a plan for praying and affirming the Truth of God's Word. 1) 2) Which Mountain(s) are you assigned to climb? In every city of the world an unseen battle rages for dominion over God‘s creation and the souls of people. This battle is fought on 7 strategic fronts looming like mountains over the culture to shape and influence its destiny. In order to transform cities, regions and nations, we need to capture and rule the 7 mountains that shape each area’s culture. Watch the following video if you are not familiar with the 7 Mountains of Influence. >> Download Presentation << "Climbing Your Mountain"
There's also more information for later study on 7 Mountains under the "Marketplace Ministry" Tab. Lead With Your "WHY" YOUR PURPOSE! Once you have identified your purpose...you are READY to do BUSINESS in the Marketplace! (Establish daily/weekly success actions) put your efforts on auto pilot! ** Be sure to visit the RESOURCES Tab and download the presentation on "Affirmations." STEP 1: Set a faith goal. A clear-cut objective - write it down and see it clearly. Your heart should skip a beat when you read it. STEP 2: Passionately pursue the desire. See it, live it, sleep it, walk it... Know that the Lord will satisfy the desires of your heart. STEP 3: Pray and believe for the Assurance. Pray until your receive the assurance. With the assurance, your faith will reach out and grab hold of your objective. STEP 4: Command and speak it. Claim it and give the Word. When you speak it the Word goes out to create it. Signs and wonders shall follow. Never look solely to man...the answers will come to your spirit and it is through your spirit, the answers are applied to your circumstances. Enjoy and build a HUGH business. Summary: We see the things we believe God has called us to do, but we are so prone to activity and running ahead more than we are to worship and inquiry from the Lord. Is our lifestyle such that it sends us out into battle mindful of the Lord and who He is to our every move, mindful of those principles of His Word that must guide our every thought and step and fortify us with the comfort of God? This article is a powerful reminder we are simple soldiers taking orders from our Supreme Commander. You will be blessed by "The Captain of the Lord's Army." Now that you have completed "THE FOUNDATION" ...you are ready to CHARGE and take dominion over the marketplace...by His direction and in His Name. You are God's "temple" and dwelling in the marketplace. God will establish you to flow His wealth through you. God will use you to demonstrate to His Captains how to tap into and transfer the wealth of the world for the building of the Kingdom. Praise God...let's go! WRITE DOWN what your hear in the "motivations" of your heart. PRAYER isn't over UNTIL God speaks back. And Jabez called on the God of Israel, saying, Oh that you would bless me indeed, and enlarge my coast, and that your hand might be with me, and that you would keep me from evil, that it may not grieve me! And God granted him that which he requested. Isaiah 48:17 Thus says the LORD, your Redeemer, the Holy One of Israel: "I am the LORD your God, who teaches you to profit, who leads you in the way you should go. EXPLORE the Better World Changers website...it is a record of the various marketplace lessons Brenda and I learned over the past 10 years of VICTORY in Jesus!